Contrary to popular belief, you do not need training at the French Laundry or an advanced culinary degree to succeed at making chocolate candies. You simply need to learn a few techniques and have some patience. Here are my step-by-step instructions to easily create handcrafted chocolate Easter eggs (or other chocolate candies) from scratch. Step 2: Melt half of the chocolate bar pieces using a "bain-marie." Step 3: Take melted chocolate off the bain-marie. "Temper" the chocolate: stir in the rest of chocolate bar pieces. Step 4: Stir until the hard chocolate pieces become incorporated in the melted chocolate. 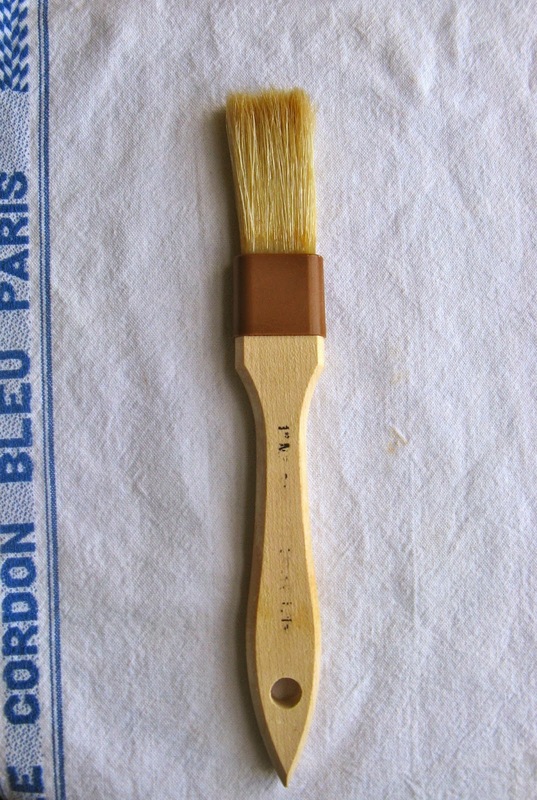 Step 5: "Paint" the melted chocolate onto the chocolate mold using the pastry brush. Step 6: Allow the chocolate to cool and harden (about two hours). The chocolate will have a matte appearance when it's ready. Step 7: First step to make the ganache filling: Place vanilla bean and cream in a saucepan over medium heat. Allow it to boil for a minute. Step 8: Strain the vanilla bean from the heat milk. Step 9: Add the chocolate pieces to the warm milk. Step 10: Stir the chocolate into the milk using a wooden spoon. Step 11: Keep stirring until the chocolate is completely melted. Then allow to cool off. Place in the refrigerator until ganache is solid. Step 12: Fill the chocolate molds with the ganache. Step 13: Make sure that each mold is filled to the brim but not overflowing. Otherwise the ganache will leak out of the candies. Step 14: Melt the remaining chocolate from the chocolate bar. Then smear the melted chocolate on top of the ganache. Step 15: Allow the melted chocolate coating to harden. The chocolate coating will go from shiny to matte once it is ready. 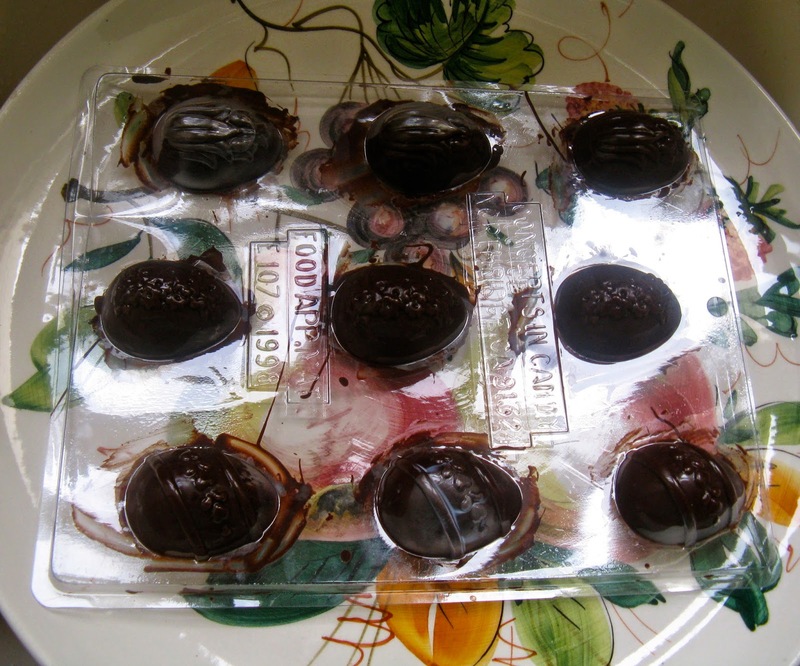 Step 15: Place chocolate mold in the refrigerator for 30 minutes to one hour. Then remove the chocolate pieces by inverting the mold. 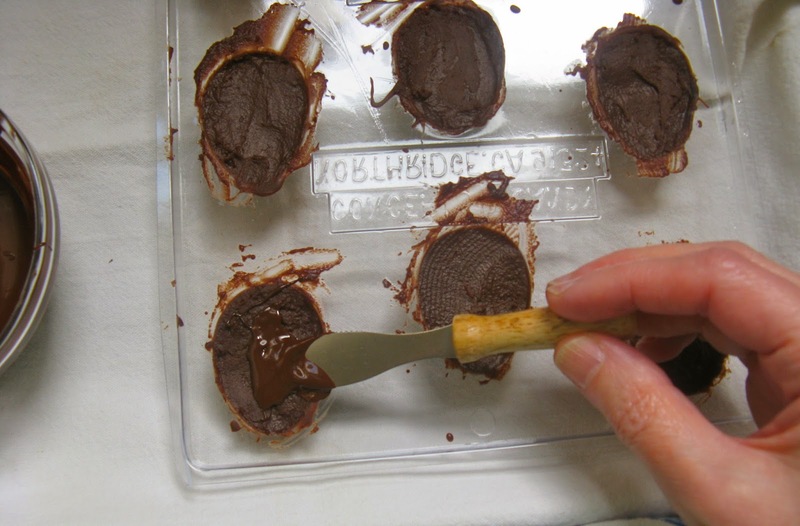 You may need to "trim" the edges to remove excess chocolate, so that each piece looks perfectly neat. Voila! Beautiful handcrafted chocolates! Enjoy! You make it look so easy! I think even I could do that. But the real reason I want to try is that I really want to taste those delicious looking eggs!